For today’s woman, pregnancy is no longer a “delicate condition.” She’s working, managing commitments inside and outside the home, and eager to stay fit—maybe even running a marathon! 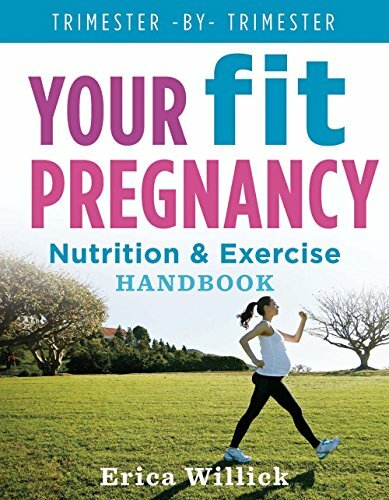 For the first time, there’s a guide for all the moms-to-be that breaks down exercise and nutrition trimester-by-trimester, written by a mother who’s also a two-time North American fitness champion, model, and spokeswoman for the UFE (Ultimate Fitness Event) organization. It offers complete workouts tailored to different fitness levels and stages of pregnancy, along with healthy meal plans and 50 recipes. Real moms chime in with inspirational stories of how they successfully kept happy, healthy, and fit even in stressful situations, and there’s advice on everything from setting workout goals and dealing with lagging motivation to choosing sports bras, staying hydrated, and coping with unwanted advice. Next articleWhat Is The Aviary NYC, Exactly?